To use the walking track you must be a member of the walking club for insurance purposes. Application forms available on the night. Cost of membership for the year is €30 per person. 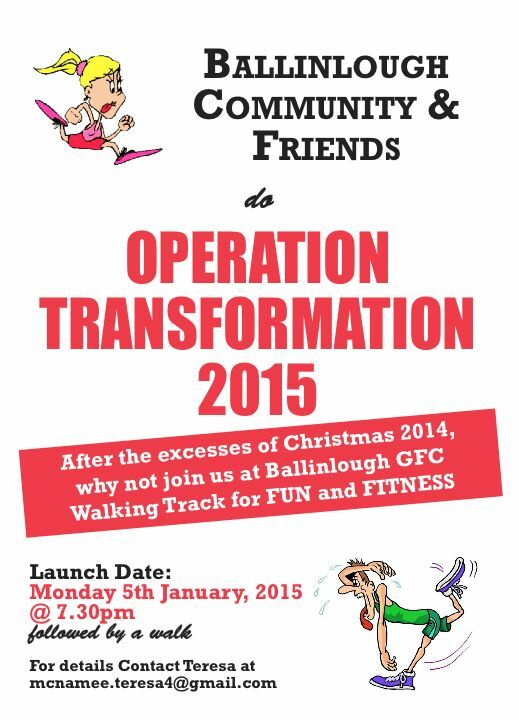 Weekly charge of €2 a week to take part in the Operation Transformation.